Georgia - Where We Work - International Health - John Snow, Inc.
JSI 's work in Georgia has enabled a true revolution across the entire country in the way that maternal, newborn, and reproductive health services are delivered and experienced by the population. The results achieved over the last decade are substantial. 73% of all births in Georgia now take place in health facilities that have modernized the way they deliver care in accordance with internationally-recognized effective perinatal care (EPC) principles. Due to EPC, there has been a 50% reduction in postpartum hemorrhage, which is a leading cause of maternal death. There has also been a 25% cost reduction per delivery at hospitals practicing EPC, in part because the principles favor less medical intervention (e.g. the episiotomy rate decreased from 70% in 2006 to less than 8% in 2014, use of unnecessary medications decreased from 39% in 2004 to less than 3% in 2014). Newborn hypothermia, a leading cause of newborn severe morbidity, has been virtually eliminated by introducing effective hypothermia preventive measures: skin to skin contact is provided after 92% of all births and early breastfeeding is successfully initiated after 93% of all births in Georgia. 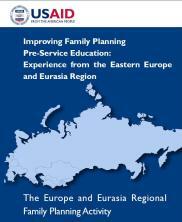 JSI’s work has also increased access to family planning services and contraceptive products across the country. 80% of rural and semi-rural health facilities now provide comprehensive family planning and reproductive health services. The contraceptive prevalence rate among married women has risen from 41% to 53%, while at the same time, the abortion rate has decreased 57% and the fertility rate has increased 24%. 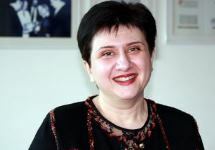 JSI implemented the Healthy Women in Georgia project from 2003-2009, which focused on improving maternal, newborn, and reproductive health, including family planning. From 2009-2010, JSI implemented the Survive project, which was a USAID Global Development Alliance award and focused on increasing the public’s awareness of the importance of early screening for breast and cervical cancers. 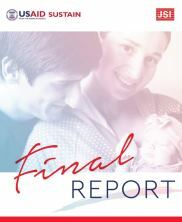 The USAID|SUSTAIN project (2009-2015), worked to improve and sustain the gains made in Georgia’s maternal, newborn, child, and reproductive health services. USAID|SUSTAIN worked in public and private partnership with health care providers, insurers, and policy makers to improve the quality of care in each of these areas. Learn more about JSI's impact on radically transforming the policy, practice, and culture around reproductive health and childbirth in Georgia. Through the Survive Project, JSI increased public awareness of breast and cervical cancer among reproductive aged women by promoting screening, strengthened referral systems, and reinforced provider skill through trainings. 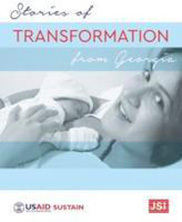 JSI transforms newborn care in Georgia. 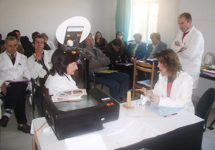 JSI is bringing modern medical education standards to Georgian medical universities. 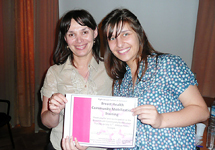 Tamar, a breast cancer survivor, participates in a cancer walk sponsored by the Healthy Women in Georgia project and educates other Georgian women about breast health and preventative care.